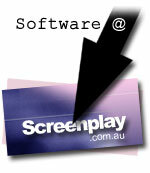 Our ONE goal is to get the best tools into the hands of Australian screenwriters at the lowest possible cost. But now, since there's nothing to ship, we can drop our normal world-low price even further! And best of all, it's available to anyone, anywhere in the world! 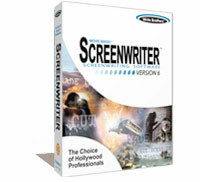 Movie Magic® Screenwriter™ download-only version sells for US$249 (nearly $400 Australian dollars)! And that's international OR domestic! Now, no matter where you are in the world, we've got the world's best price! Guaranteed. Now in a DOWNLOAD-ONLY version! Quite frankly, we're VERY excited about this. Why? Because it allows us to bring you the incredible power of Movie Magic® Screenwriter™ at an even lower cost. Plus, it doesn't matter where in the world you are! You can download this powerful program, and be working on your feature script by this time tomorrow! ON SALE -- just $279 AUD! When you order the download-only version of Movie Magic® Screenwriter™, we'll email you a special link to a password-protected part of our website. You'll be given a unique username and password to download the software directly to your computer. You'll also be emailed your unique serial number. When you install the program, it will verify that serial number as part of the registration process. Once it determines that the serial number is valid, you're all done! And, just as with the boxed version, you can install the software on up to three machines, so you can write on the office computer AND the laptop! Since there's no box to ship out, there's no shipping cost OR delay! There are no customs duties, and no waiting for the package to arrive. And you know us -- we pass all those savings right along to you. Now, obviously, with a download-only product, there's no CD, no box, and no printed manual. If you prefer to get these things, you'll be pleased to know we're still offering them, and still at the lowest price in the world. But if it's a truly incredible price and a convenient electronic delivery you're looking for, the download-only version makes the best "cents" in the world. Q). Are there any differences between the boxed version and the download-only version? A). No. The software itself is identical, except that you must choose between the Windows version and the Mac version, whereas the CD is a hybrid disc (with both versions). (Now, you get both the Windows AND the Mac version when you purchase a single Download-Only software order!) The only difference now is that there is no CD and no printed manual with the download-only version. But who cares? You are free to burn a backup CD of your downloaded software, and all the printed manuals you would get come in PDF versions. You'll get links to them all. So getting the download-only version is now even good for the environment! Q). I noticed you email download instructions "within 24 hours". Why not generate it immediately? A). We always double-check all internet orders, and take the time to verify anything suspicious. Believe it or not, there ARE unscrupulous people out there. It's better for you AND for us, this way. Your email will be sent within 24 hours, and usually much sooner (as early as 10 minutes if we're at the computer when we receive your order). Q). Is there a time limit on my download? A). Nope. Download whenever you're ready, and re-download in the future if you need to. Q). What do I actually get? A). You'll get two separate emails. One has the link to download the software, along with links for the PDF manuals and information about how to use technical support if you need it. A separate email is sent with your serial number. We send them separately for security reasons, and you'll need both to run the software. When you receive your email, you'll download the software to your computer. We strongly recommend that you back it and your serial number up so they're safe later. Q). What if I don't get the emails? A). If you receive only one of the emails, be sure to check your junk mail folder. Since one of the emails has a link to an executable file, some filters think the email is spam. Both emails are always sent at the same time. If you haven't received either email within 24 hours, contact us via phone or email immediately. This really only happens if you enter your email address incorrectly. We're pretty quick with orders. Q). What's to stop me from letting other people download it? A). Well, integrity for starters. Certainly as a creator of intellectual property (your writing), you do respect the IP of others, don't you? The simple answer, though, is that the software won't run without the serial number being verified. And any abused serial numbers get revoked immediately and blocked. Besides, you can put it on 3 machines as is. That's pretty fair, don't ya think? Q). What if I have trouble downloading it? A). If you can view this web page, you can download the file (although it's quite a bit larger than this page!). But if you really run into problems, contact us via email. We've never had a problem finding a solution. Q). Do I have to pay tax? A). GST is added to all Australian orders. International orders do not incur any taxes. Q). Are there any refunds? A). Not on the software. We always recommend that you try the FREE DEMO before buying, to make sure you like it. For fairly obvious reasons, we can't refund a download-only order. Please be sure you understand that all software sales are final. Q). I don't want to wait 24 hours! What if I want to start working on my script right this very minute? A). Then clearly you're making good use of that demo right about now! Don't forget to uninstall it tomorrow once you've got your new download-only Movie Magic® Screenwriter™! Where would YOU like to write? ...Yes, you can download it from there!